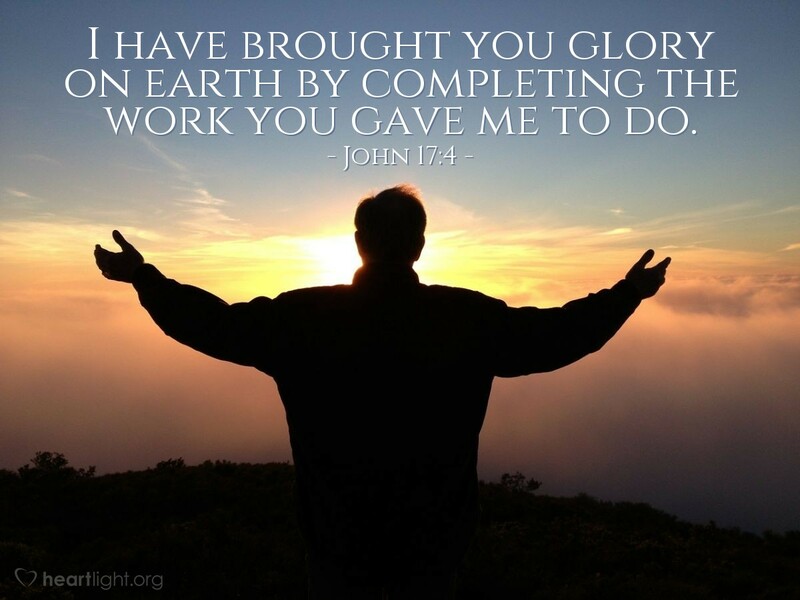 One of the most amazing things that Jesus ever said, he said to his Father in heaven: "I have completed the work you gave me to do..." In fact, when he breathed his last, he said; "It is finished." Let's live with the glory of God our highest priority! This is our purpose as God's children (cf. Eph. 1:6; Eph. 1:12; Eph. 1:14; 1 Pet. 2:9-10). The more we live by Kingdom priority (Matt. 6:33), the more we can rest assured that we can finish our lives with a line similar to Jesus! Be glorified in me, dear LORD! Use me to bring others to know you and your grace. In Jesus' name I pray. Amen.